I don’t know if this is still true, but when I was at the Truman Library in Independence, Missouri, visitors were invited to write in a large book their opinions of President Harry S Truman’s decision to deploy the atom bomb against Japan in 1945. My opinion is that it’s easy to make Harry Truman’s decisions if you’re not Harry Truman. The same thing can be said for all such figures, including Pope Pius XII. A great deal has been written about what the pope did or did not do with respect to the Jewish people who were being systematically exterminated by the Nazis during World War II. The latest contribution, if it can be called that, is Gordon Thomas’s book, The Pope’s Jews, which is designed to show that Pope Pius was clear in his condemnation of the Nazi regime and that he was directly involved in a variety of schemes to either help Jewish people escape from Italy or hide them in church properties, including the Vatican itself, during the German invasion. The best that can be said for this book is that it is superfluous and that it is so badly executed as to be an embarrassment to the publisher and an insult to the reader. Most if not all of what the author reports here has been published before. It has been well recorded that Pius, a former papal nuncio to Bavaria, was confronted with the murderous Nazis, on the one hand, who had a track record for wreaking indiscriminate vengeance whenever they met opposition or resistance, and the godless Soviets, on the other hand, who were eager to extend their dominance over as much of Europe as possible. The pope was also the head of a neutral state, and the safety of untold human beings depended on the guarantees that accompanied that neutrality. There also has been a great deal written about the various bishops, priests, and nuns who either helped Jewish people get out of harm’s way or hid them in church properties, including the Vatican itself. 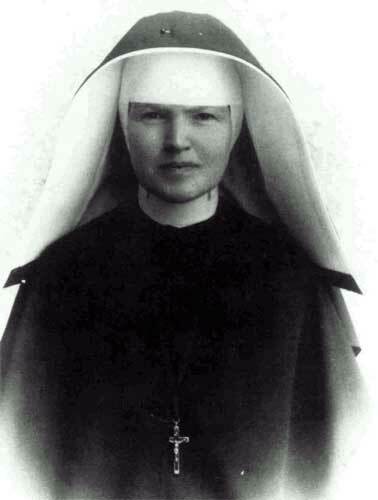 Among those complicit in this was Sister Pascalina Lenhert, who was both housekeeper and confidant to Pius XII. Many sources have reported that the pope himself was not only aware of these activities but was directly involved in some of them. Thomas writes about all this, and he also writes in some detail about the Jewish people living in the Jewish ghetto in Rome (most of whom died in a Nazi concentration camp), the Jewish resistance movement in Rome, and those working — and, in many cases, hiding — in a Jewish hospital on an island in the Tiber. 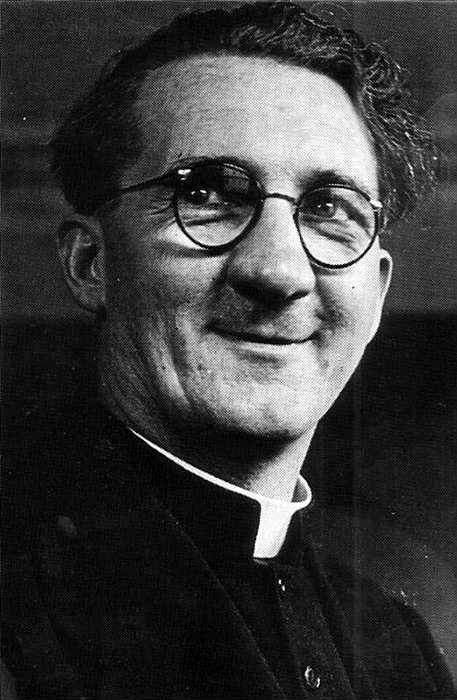 Thomas includes a lot of information about the work of Monsignor Hugh O’Flaherty, who had charge of a network of church operatives who hid Jewish people in multiple safe houses. Most of this, as I say, comes from secondary sources, and that’s what the bibliography in this book consists of. In the several instances in which the writer does refer to primary sources, he provides no footnotes and no reference to those documents in the bibliography. Moreover, this book is so carelessly written and edited that the quality of such scholarship as there was must be questioned. The author has a maddening fascination with the past perfect tense of the verb and uses it liberally, especially when it’s not appropriate. That plus awkward or downright improper sentence structure makes reading the text a chore. And then there are the factual errors. St. Paul was crucified (we don’t know how he died, but the tradition is that he was beheaded); St. Paul had a vision of the risen Jesus in Rome (that happened on the road from Jerusalem to Damascus); Pius XII canonized St. Catherine of Siena (that was Pius II in 1461); Pius XII silenced the anti-Semitic radio priest Charles Coughlin (the Vatican didn’t approve of Coughlin, but didn’t take any action against him; he was forced off the air via regulation by the National Association of Broadcasters after he opposed U.S. involvement in what became World War II). 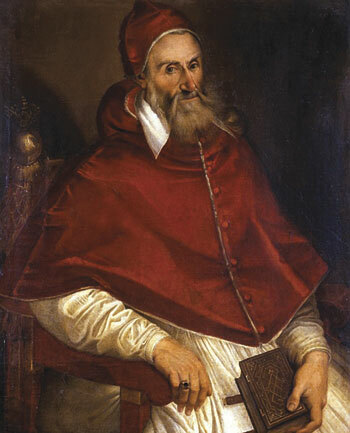 In his apparent zeal to cast the Catholic Church as a friend of the Jewish people, Thomas writes that Pope Pius IV in the 16th century relaxed a variety of restrictions on Jewish life that had been imposed by his predecessor, Paul IV, but the author does not point out that the restrictions were restored by Pius V.
Immediately after a reference to Pius IV, who assumed the papacy in 1562, Thomas writes this: “The Nicene Creed, the core of the church for centuries, would teach that Pontius Pilate was ultimately responsible for Christ’s death sentence, and that it was the gentiles (sic) who had mocked, scourged, and crucified Jesus.” The Nicene Creed dates from the fourth century, not the 16th, and it doesn’t say anything at all about Gentiles as such: it mentions only Pilate. The Apostle’s Creed, which dates from much earlier than the one adopted by the Council of Nicaea, says exactly the same thing about Pilate. Considering the crimes committed against the Jews over the past 20 centuries, those creeds can hardly be used to make the Church look benign. It was the Second Vatican Council in the 1960s that specifically repudiated the idea that the Jewish people had some corporate responsibility for the death of Jesus; that council also forbid the Church to teach that the Jewish people had somehow been rejected by God (see the council’s document Nostra aetate). In the decades since the Second Vatican Council, the Church has made a serious effort to improve its relationship with the Jewish people and to condemn any form of anti-Semitism. The present pope, who is about to abdicate, has been very active in that area. 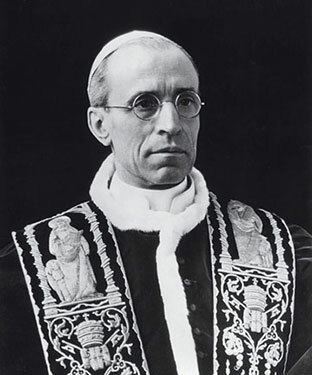 Although it does seem that Pius XII gets a bad rap from people who didn’t have to deal with the complex situation he faced, there’s no denying the trouble history between the Church and the Jews. It’s good to think that it might all be behind us. These are things that have contributed to the atmosphere of the past 12 days. And there was another: Christmas lights gone dark for a night. And yet, in a way, nothing could be more appropriate. Nothing could be more fitting at this moment in our lives together in America than to celebrate the birth of Jesus of Nazareth and to remember what that birth means. Some events — and surely an event that took place this month — may contribute to a certain pessimism about our human condition. It’s the 21st century, we might say to ourselves in one way or another. It’s the 21st century, and how far have we come if this is the best we can do? What’s wrong with all of us, if some of us are capable of this, if none of us can prevent such things? What we celebrate today is that the child born in the manger was, in one person, both a human being and God himself. We sometimes hear this expressed in negative terms. We sometimes hear that God lowered himself, to take on the nature of miserable humankind. But while we recognize that God is greater than any one of us, greater than all of us put together, we don’t have to look on the birth of Jesus — in fact, I suggest that we should not look on the birth of Jesus — as an act of condescension. On the contrary, the birth of Jesus is an act of love. In the birth of Jesus, God shows his love for us — not only because he was willing to obscure his divine nature with the physical appearance of humanity, but because he placed such a value on human nature that he wanted to show that the men and women and children he created were fit to live in his company, fit to coexist in the same person — in the child born in Bethlehem. God is anything but pessimistic about human beings. Jesus demonstrated that over and over again — with Matthew, with Zaccheus, with the woman at the well in Samaria, with the woman accused of adultery, with Peter, with the thief dying alongside him on a cross, and with Paul. He told us about it in those parables that resound through the ages: the father and his two sons, the Good Samaritan, the one lost sheep from the ninety-nine. Jesus, who looked on human beings with such optimism, encountered in his lifetime Herod and his sons, Judas Iscariot, Pontius Pilate, and people whose jealousy or paranoia inspired them to criticize him, attack him, ostracize him, eventually kill him. And while we may not be able to look as deeply into those souls as Jesus did, we take him at his word. Every now and then, someone — for reasons that we really do not understand — commits an act that might make us ask us just how low human nature can descend. But we don’t have to look far — and we didn’t have to look far this month — to find far more people, including people sitting in this church, whose heroism and generosity help us to see just how high human nature can soar. The Catholic Church teaches that human beings are essentially good. Christmas — and perhaps this Christmas especially — is a good time to recall that and to celebrate it in the words of the hymn.